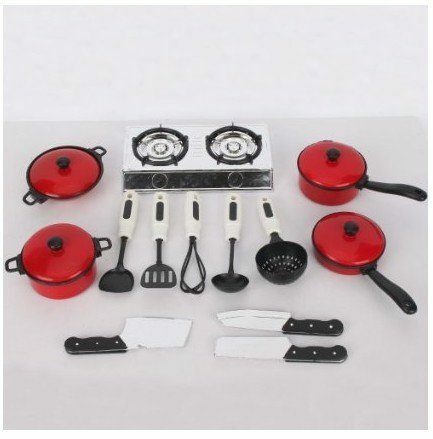 Pots and Pans Play Kitchen Set Only $6.88! You are here: Home / Great Deals / Amazon Deals / Pots and Pans Play Kitchen Set Only $6.88! Here’s a great add-on to your child’s kitchen. Get this Pots and Pans Play Kitchen Set for only $6.88 on Amazon! Even better, it will ship for FREE! Thanks, 3 Boys and a Dog!